The attorney general's office seeks more than $11 million in fines against San Antonio and accuses the city of "thwarting federal immigration enforcement." Texas is suing the city of San Antonio for an alleged violation of the state’s new anti-“sanctuary cities” law, in the state’s first enforcement action against a city under the controversial statute. The lawsuit claims that San Antonio Police Chief William McManus “personally called an immigration attorney from an advocacy organization” and released the individuals without running background checks. 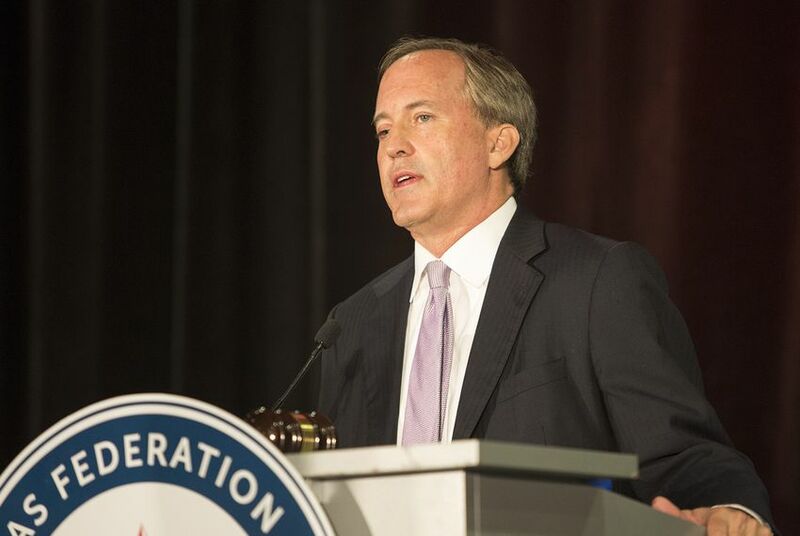 “Unfortunately, some municipalities, such as San Antonio, put the safety of police officers and the public at risk by defying state law,” Attorney General Ken Paxton said in a news release. City Attorney Andy Segovia took issue with Paxton's characterization of events, saying the attorney general was clearly "aimed at furthering a political agenda." "While we need time to review the complaint, we are fully confident that neither the city nor Chief McManus violated the applicable provisions of [the law]," Segovia said in a statement. "The city has a long history of cooperating with federal authorities and we will continue to do so. The city’s process for handling human smuggling/trafficking incidents was created in coordination with the federal government, and federal officials have not taken issue with our handling of immigration issues." Thomas Saenz, president and general counsel of the Mexican American Legal Defense and Educational Fund, slammed the lawsuit, claiming it had "three obvious purposes: to intimidate and frighten immigrants in the state of Texas, to pressure Texas localities to violate constitutional rights, and to attract public attention for Paxton from the nativist fringe."